There's such a huge range of attractions and activities to see and do on Kangaroo Island, it hasn't been named Australia's 4th national icon for nothing! Maybe you'd like to do some Kangaroo Island fishing in our famous waters, or get up close and personal to our famous Kangaroo Island wildlife, relax on Australia's best beach at Vivonne Bay, get the adrenalin pumping on a quad-bike navigating beautiful coastal lands, or jump on a sand board down Little Sahara sand hills - no matter how active you want to be, there's something for everyone! From $10 per child. 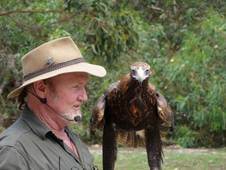 See Kangaroo Island's popular, entertaining & interactive Birds of Prey, Fang-Tastic's reptiles, and Venom Pit's venomous creatures shows! From $30 per child. 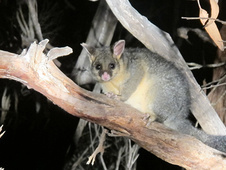 Discover and learn about Kangaroo Island's nocturnal wildlife on this unique evening guided tour. From $50 per child. Discover the Kangaroo Island's nightlife with Mercure Kangaroo Island Lodge at American River. From $5.00 per child. 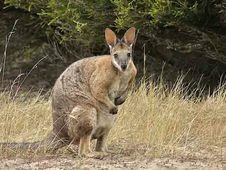 Discover and learn about Kangaroo Island's nocturnal wildlife on this unique evening guided tour. From $75 per child. 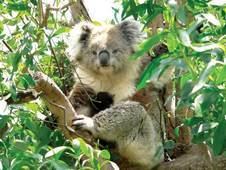 See Something Extraordinary with Kangaroo Island Nocturnal Tours. 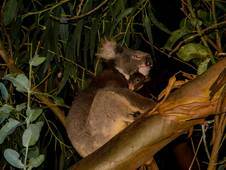 See the elusive night creatures of Kangaroo Island with your own personalised local Guide. From $88 per adult. 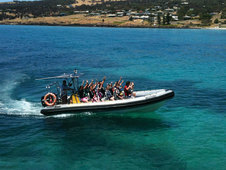 Discover Kangaroo Island from the water on an awesome wildlife & coastal safari tour. From $80 per person. 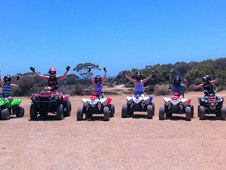 Experience a quad biking tour or go paint balling on 250 acres of scenic landscape - Kangaroo Island Adventure at its best! From $37 per person. 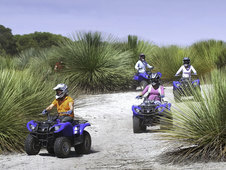 Outdoor adventure on Kangaroo Island including quad biking, sandboarding and kayaking. Enjoy the action! From $190 per adult. Cruise the coastline, swim with dolphins, try snorkeling or sit back & enjoy the ride. From $150 per adult. The perfect 'catch'! 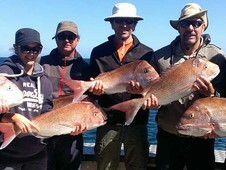 Offering half or full day fishing charters for two people, families or groups.